Today and tomorrow, I’ll share with you the wonderful responses to my Bacon Solicitation for top reads of 2015. You might find some holiday gift ideas here – or your next great read. I’m so grateful to the wide variety of Bacon readers who responded! 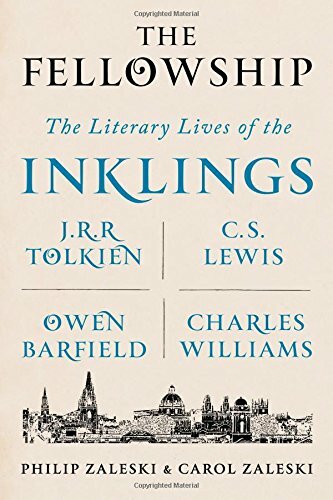 From Todd Jones: The Fellowship: The Literary Lives of the Inklings, by Philip and Carol Zaleski. Millions love the stories of C.S. Lewis and J.R.R. Tolkien, whose children’s books have been read for generations, and now been turned into successful movie series. What few know is the story of how these figures came to the faith that inspired their writing, and the fellowship that they found in their Oxford group that also included Charles Williams and Owen Barfield, no slouches themselves as authors. The Zaleskis are trained as theologians, and they provide well told background stories on the childhood and adult experiences that shaped each of these influential thinkers in post-war Great Britain. From Brent Moody: Confused by the ubiquitous term “Big Data”? DATA-ISM by New York Times technology writer Steve Lohr can help. DATA-ISM provides engaging stories of how data is transforming many aspects of commerce and life itself, from techniques to optimize grape yield at the vineyard to detecting human disease. DATA-ISM is suitable for anyone wanting a better understanding of how data drives decision making as well as its limitations. I would particularly recommend the book to students facing decisions of what to study and how understanding the use of data will influence whatever field they pursue. (1) Being Mortal: Medicine and What Matters in the End, by Atul Gawande. We are all aging and headed toward death, whether sooner or later, and many of us have parents headed that direction sooner rather than later. This is a book to start the conversation about what the end could/should/might look like, for us and for our loved ones. I want to give it as a gift to everyone on my Christmas list. I’m hoping to get my parents to read it while they’re still healthy and (relatively) young! And I need to get my sibs on board too! (2) Strong Inside: Perry Wallace and the Collision of Race and Sports in the South, by Andrew Maraniss. A biography of the first black basketball player at Vanderbilt and also the entire SEC. Great story about a true hero, plus a lot of history about the integration of collegiate sports generally. Of particular interest to Nashvillians, since the author lives here and the story takes place at Vanderbilt, but the subject truly transcends the setting. Read it, even if you already think you know everything there is to know about the Civil Rights Movement. From De Thompson: Over the long course of recorded history, there have been noted countless dreams and/or futile efforts for human beings’ wanting to be able to fly as a bird. Of course, most people today take flying for granted, thinking nothing about the now just one-century-old phenomenon of being able to travel “far and wide” by means of an airplane or even rocket ship. 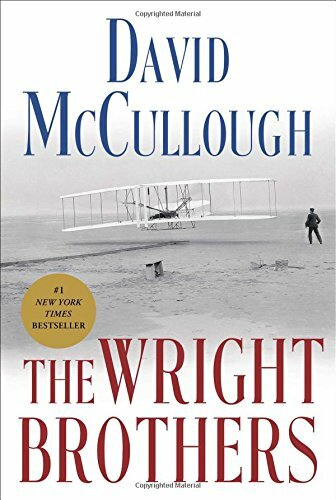 The account of Wilbur and Orville Wright’s bravery, enduring commitment to task, and focused determination to devise a machine by which a person could fly safely, in spite of laughing denigration of their efforts as being those of mad men, is a truly inspiring story told so well by David McCullough who has the gift of making history read like an exciting novel. Wilbur and Orville Wright deserve a special place in history alongside those relatively few pioneers whose efforts in life dramatically changed the world for the better. From Matt Osborne: My two books of the year both are by visual artists rather than traditional authors. Sally Mann’s Hold Still is part memoir, and part rumination on the artist’s vocation. It contains her reflections on family, place, and death, along with a collection of her photographs. I have a crush on Sally, so I have no objectivity here, but her book is crazy good. 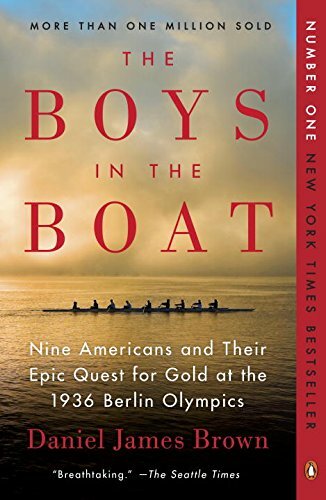 From Mimi Bliss: I recommend The Boys in the Boat: Nine Americans and Their Epic Quest for Gold at the 1936 Berlin Olympics, by Daniel Brown. I bought the book because it was a selection of Holly Conner’s book club. I couldn’t put it down. The story has a universal message about perseverance, teamwork and overcoming enormous odds. The Boys in the Boat would appeal to men, women and readers of all ages. I’m hoping that my twelve-year-old reads the YA version. The book is being made into a movie. From Kelly Corcoran: I have to say that my favorite book that I read in 2015 was actually: The Life-Changing Magic of Tidying Up: The Japanese Art of Decluttering and Organizing by Marie Kondo. I really enjoyed the concept of surrounding yourself with things that bring you joy as well as the idea of personifying various items that you are surrounded with. After reading this book, I found myself thanking my shoes for carrying me through the day and thanking my home for keeping me warm. I also found myself taking a deeper look at my possessions and the lighter feeling that comes with decluttering. There are some drastic proposals in the book for sure in her approach to organizing and I have yet to take on all of her suggestions. But, this is a book that did significantly alter the way I think about possessions and my interaction with them. It was a quick, enjoyable read and it’s a book that feels good in the hands – I even appreciated the paper, the size and the sturdy cover. I’ll keep this book on my shelf for years because it brings me joy! From Laura Cooper: I love this book for anyone interested in home design – this photographer, and his blog, are a happy antidote to the antiseptic depiction of the scrubbed interiors, devoid of life, in most glossy magazines, blogs, and instagram feeds. I’d give it to anyone who wants to see how real-life creatives fill their spaces, what kind of joy there is in that. And the Fashionable Selby is also luscious, to make the set. From Amy Stritikus: I read The Bee Cottage Story by Frances Schultz this summer and loved it! She purchases a fixer upper cottage in the Hamptons and along with the renovation process she keeps you up to speed on the daily occurrences in her personal life, that are sometimes hilarious and other times heart-breaking. I bought this for my Mother for her birthday, but I believe anyone who loves and appreciates interior design along with an occasional laugh will love this book! Can’t wait to share more nonfiction and fiction picks with you tomorrow! Heading to the bookstore to buy some of these books for Christmas. Thank you for sharing! Thanks for the great suggestions! I agree with Caroline…Being Mortal by Atul Gawande is a must read. Can’t wait to investigate some of the others as well. Thanks for keeping us up to date!